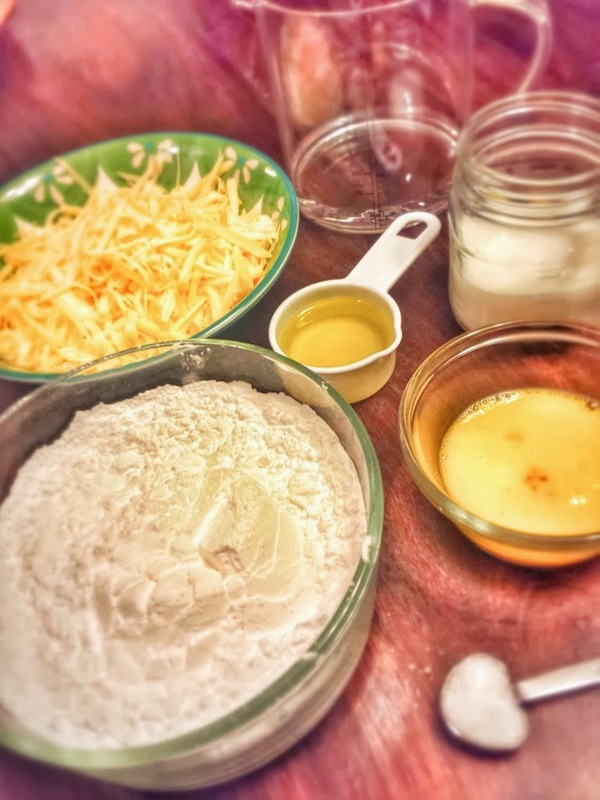 I've been on a Brazilian kick, and I've been wanting to make some Brazilian cheese bread from scratch. Because today was a snow day, it was a good day to accomplish this goal. These are Gluten Free because they're made with tapioca flour instead of wheat flour. You can easily find this at Kroger. The other ingredients are pretty simple too. Milk, water, oil, eggs, cheese, and salt. 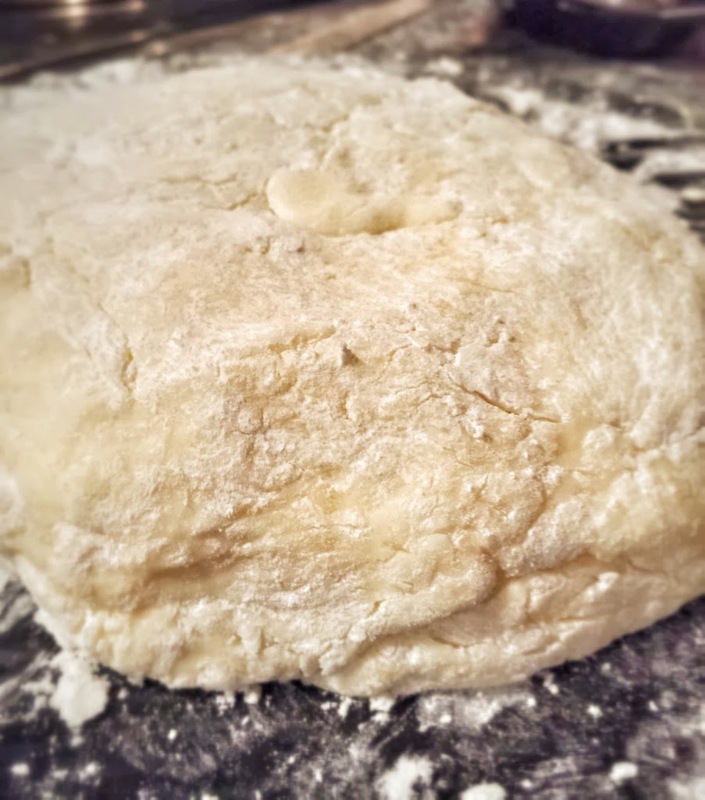 The majority of the ingredients are brought up to a boil in a large pan, then removed from heat, the tapioca flour is added. Then a dough is made. Now I don't make dough often because I'm a girly girl and I hate getting dirty. The slightest drop of flour on the counter or floor makes me extremely squeamish. So this is a rare moment for me. Just so you'll know. These kind of occasions always end up with flour everywhere, and this experiment was no exception. They turned out really, really good. 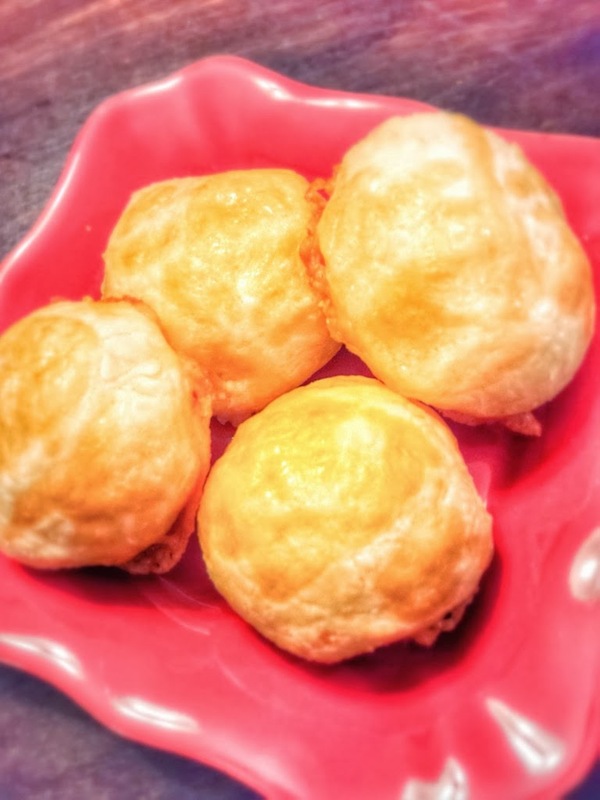 My family was extremely happy for the new Brazilian cheese bread that we made on our own! Combine milk, water, oil, and salt in a large dutch oven or sauce pan. Bring up to a boil, then remove from heat. 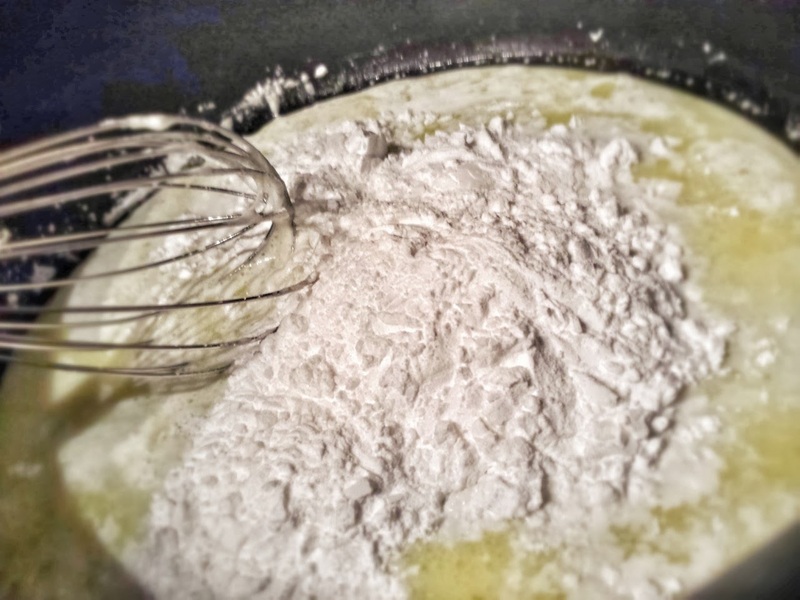 Add the tapioca flour to the pan and mix together. Dump mixture onto a cold marble stone or counter. Add the egg and cheese. Mix with your hands. 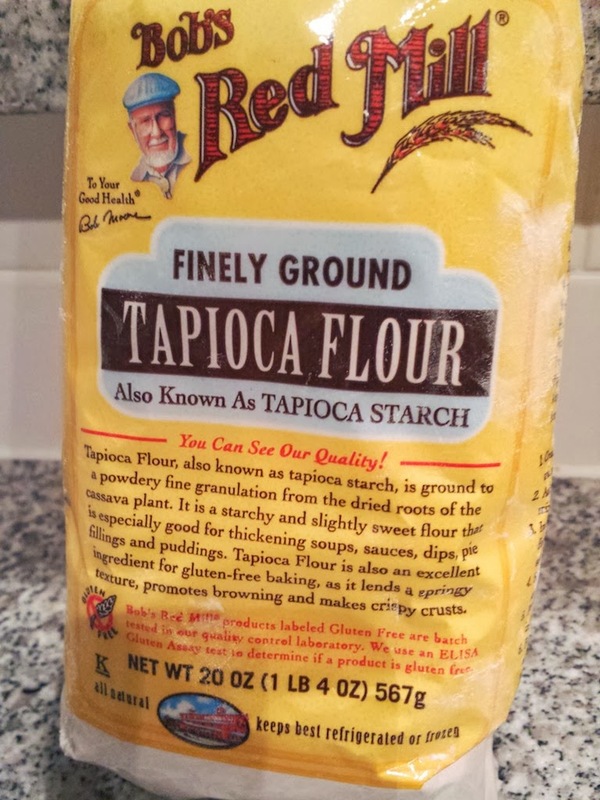 Add more tapioca flour to make a dough. Heat the oven to 350 degrees. Line a large cookie sheet with parchment paper. 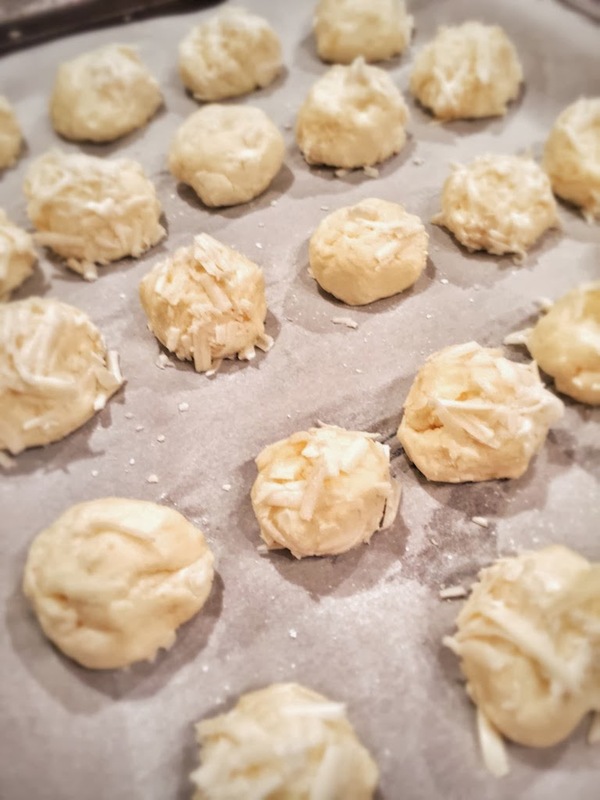 Make about 2 dozen small rolled balls with your hands and place on parchment. Roll in extra cheese if desired.